Your home should be your sanctuary where you can leave your worries outside the door and relax, breathe, and relish the day. Home should not be reduced into a dwelling place where you eat and sleep. It should be your own little oasis. But how can you do that if you don’t just see grime and dust, you also smell it in the air? Worse, with your busy schedule, you can’t find the time to do a general cleaning. That’s alright. 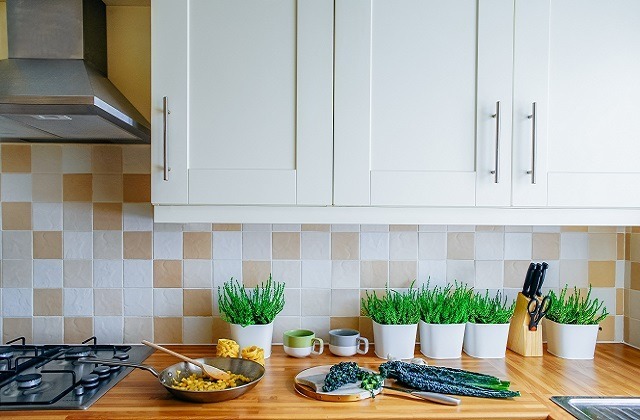 Here are 5 simple tips to keep your home fresh…and smell clean. Keep the things you NEED and eliminate the things that are just gathering dust. To make it easy and fast, get 3 boxes, label them “Throw”, “Give” and “Keep. The lesser the stuff you have the easier to clean and organize. Minimalist kind of home also makes it easy to move around, and it’s not too heavy to the eyes. When you see so much clutter, it signals your mind that there is chaos so you can’t get that fresh, relaxing feeling. Dispose your unnecessary stuff to keep your house looking neat and so you can give more space for your house to “breathe” so to speak. Get an indoor plant for your home. Plants are not only nice and refreshing to look at with their colors (even if they’re just plain green), they also help keep the air clean and fresh by producing your much needed oxygen. When choosing a potted plant, consider the size (Will it be too large for your space? ), the plants capability of thriving indoors, the maintenance, and aesthetics. Most people opt for bonsai because they're smaller so they don’t take up much space plus they’re cute to look at. Some people also have a liking for succulents. Others still opt to create their own vertical garden planting their favorite herbs. This is both creative and sustainable. This is a very practical way of not just decorating the house, but also a way of keeping your house green and healthy while creating a fresher atmosphere. Not to mention fresh herbs for cooking make the food taste better. Clean as you go. This is especially helpful for people with busy schedules who cannot find the time or dedicate a day for cleaning. Instead of piling up chores and putting off what is needed tomorrow (which always gets postponed anyway), why not develop a system where you don’t pile up to-dos in the first place? Clean the dishes and kitchenware right after cooking and eating. That way, there’s always a clean plate waiting for you during meal time. Wipe water spills on the floor. Clean the bathroom after using it. Most importantly, take out the garbage on a regular basis. The smell of the garbage when left for a couple of days or more can make the house smell really filthy and could attract insects and pests which is a whole new set of problems. Keep your home smelling fresh by emptying your trash bins regularly. Depending on your mood, scented candles and potpourris can give your home a nice sweet smell of nature. If you had a long day, whiff some lavender. Wild orange, Cedarwood and Frankincense can give you that good Autumn-like feeling. It’s your home; you create your own kind of world however you like. The bottom line is that it gives you that fresh aroma that transports you into the realm of your own. A simple life hack: simmer water and add lemon slices and herbs (preferably mint) and inhale the smell of freshness. Keep the ventilation going. Take away the unpleasant smell of dust and dirt by cleaning your windows, air vents, fans or AC unit. Most importantly, get an air purifier that can do its job. Factors like pet hair, pollen, dust, smoke odors, and home construction particles could hang in the air and “pollute” it. 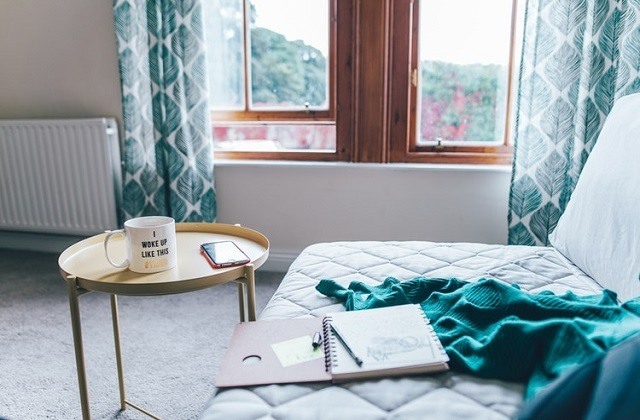 Air purifiers cycle the air in the room and remove these contaminants so you can breathe cleaner, fresher air in the process. This is extremely helpful to people who are not only sensitive to smell but also those who suffer from environmental allergies. Families with new-born babies especially opt for a high quality air purifier because they are more sensitive and susceptible to air-borne diseases. If a home is clean you don’t just see it, you smell it. It doesn’t end in a spotless exterior. It is also important that even those which is not visible to the eyes like the air is also clean and fresh. 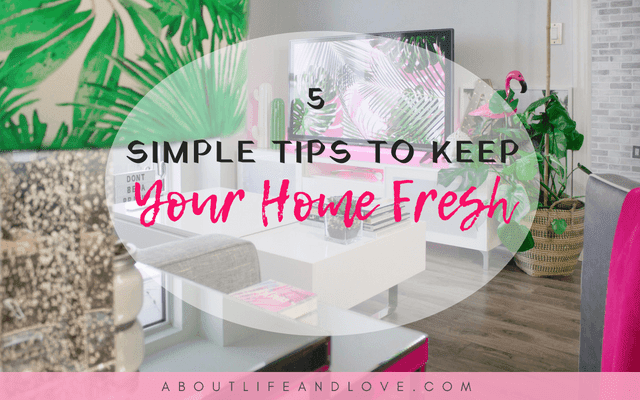 How do you keep your home fresh?